Cotton Canvas is used for indoor and outdoor advertising. It has accurate colour performance and it is applicable for solvent digital printing and water-based printing. It is also an ideal choice for art picture prints for indoor decoration. K20 is a printable flag material suitable for outdoor use. It has a transparent finish. 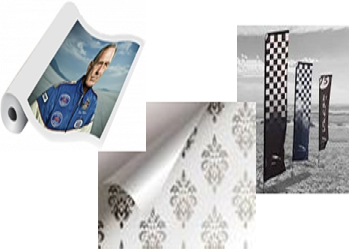 K19 is a soft printable fabric, suitable for indoor use. It can be used for picture framing.